The KIM-1, short for Keyboard Input Monitor, was a small 6502-based single-board computer developed and produced by MOS Technology, Inc. and launched in 1976. It was very successful in that period, due to its low price (following from the inexpensive 6502) and easy-access expandability. 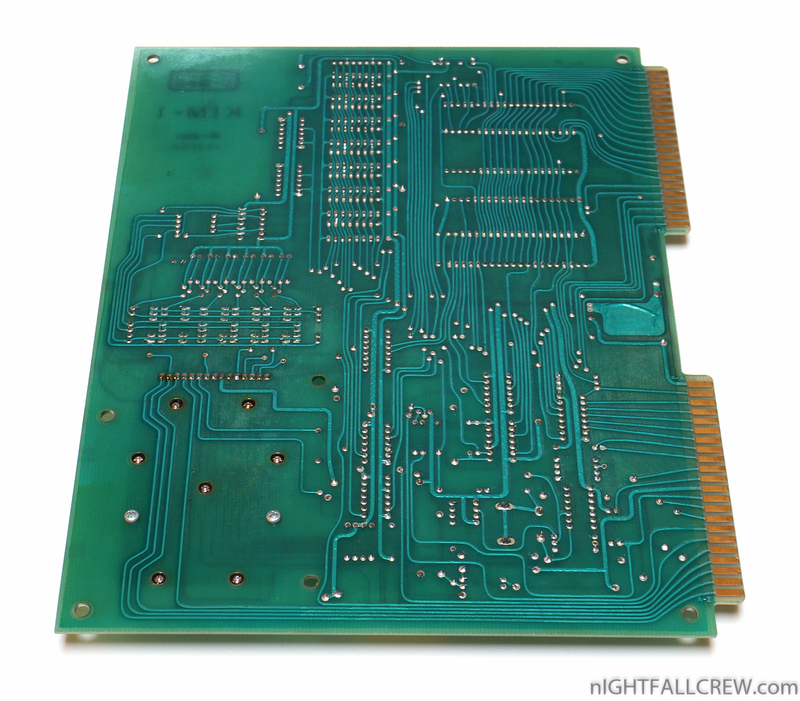 The KIM-1 consisted of a single printed circuit board with all the components on one side. 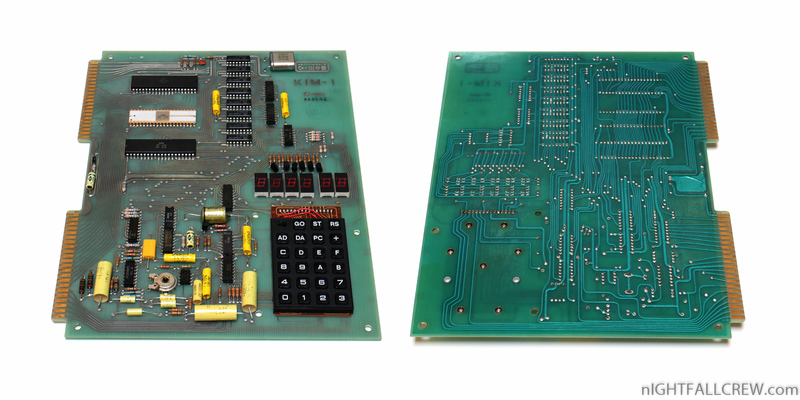 It included three main ICs; the MCS6502 CPU, and two MCS6530 Peripheral Interface/Memory Devices. 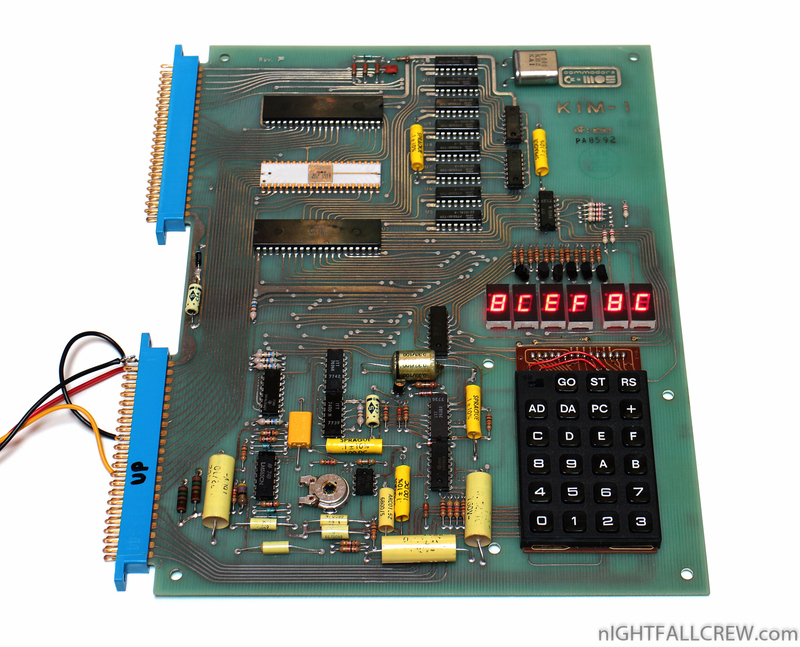 Each MCS6530 comprises a mask programmable 1024 x 8 ROM, a 64 x 8 RAM, two 8 bit bi-directional ports, and a programmable interval timer. The KIM-1 brochure said “1 K BYTE RAM” but it actually had 1152 bytes. 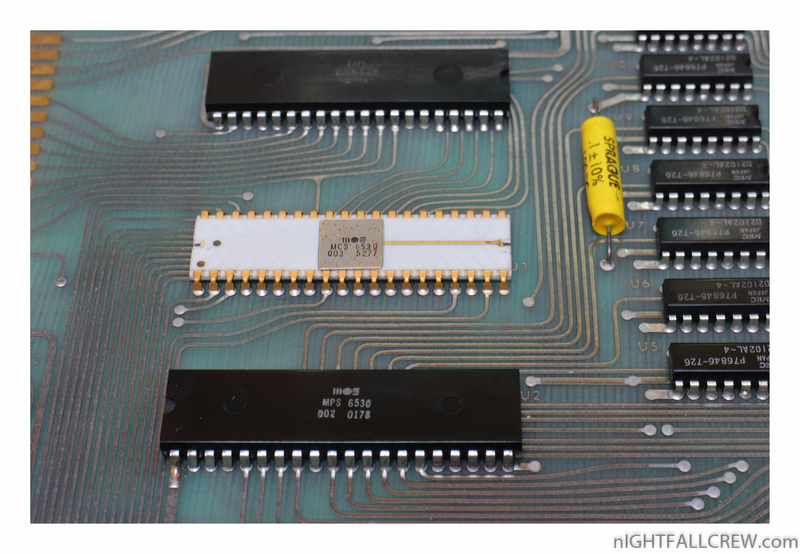 The memory was composed of eight 6102 static RAMs(1024 x 1 bits) and the two 64 byte RAMs of the MCS6530s. In the 1970s memory sizes were expressed in several ways. 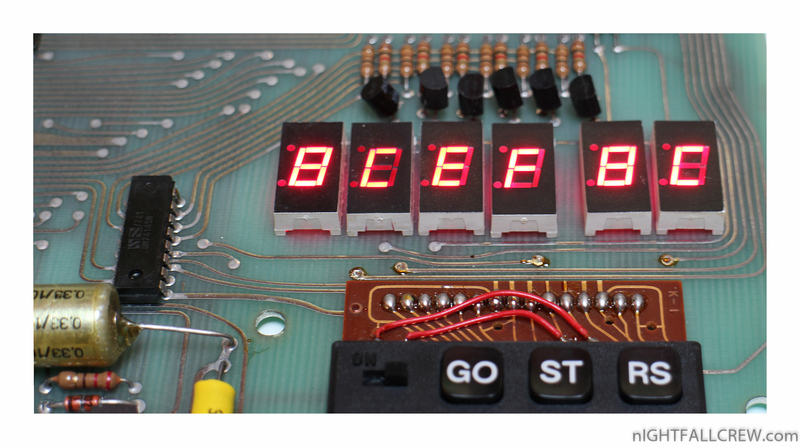 Semiconductor manufacturers would use a precise memory size such as 2048 by 8 and sometimes state the number of bits (16384). Mini and mainframe computers had various memory widths (8 bits to over 36 bits) so manufacturers would use the term “words”, such as 4K words. The early hobbyist computer advertisements would use both “words” and “bytes”. It was common to see “4096 words”, “4K (4096) words” and “4 K bytes”. The term KB was unused or very uncommon. The KIM-1 was introduced in the April 1976 issue of Byte magazine and the advertisement stated “1 K BYTE RAM” and “2048 ROM BYTES”. 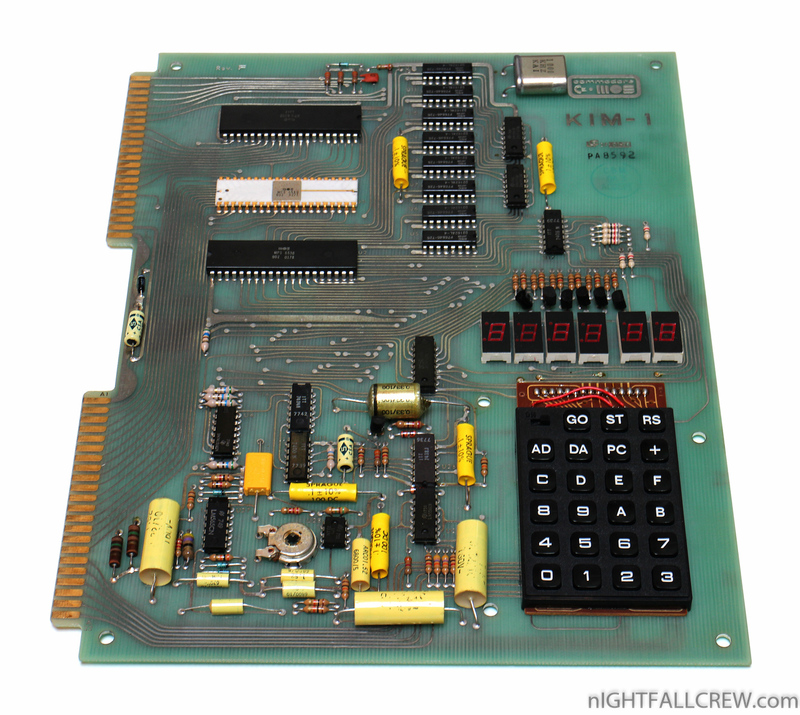 Also included were six 7-segment LEDs (similar to those on a pocket calculator) and a 24-key calculator-type keypad. 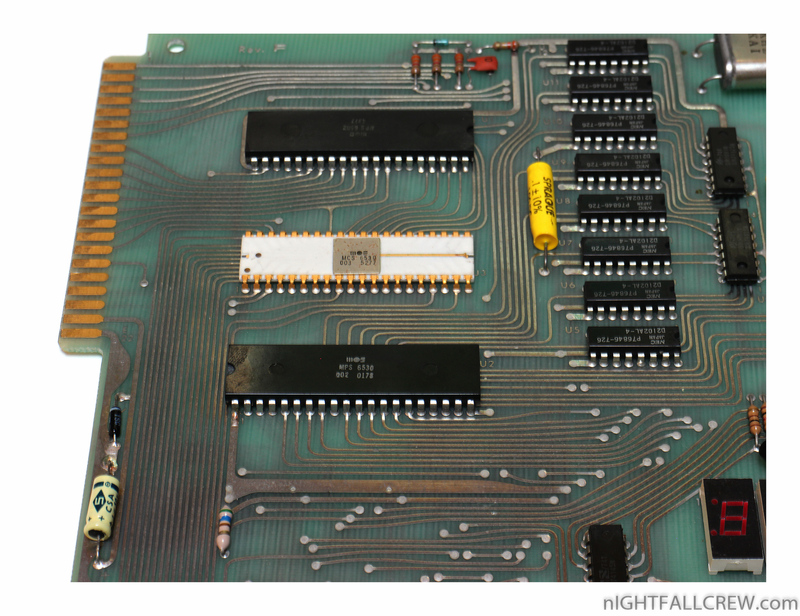 Many of the pins of the I/O portions of the 6530s were connected to two connectors on the edge of the board, where they could be used as a serial system for driving a Teletype Model 33 ASR and paper tape reader/punch). 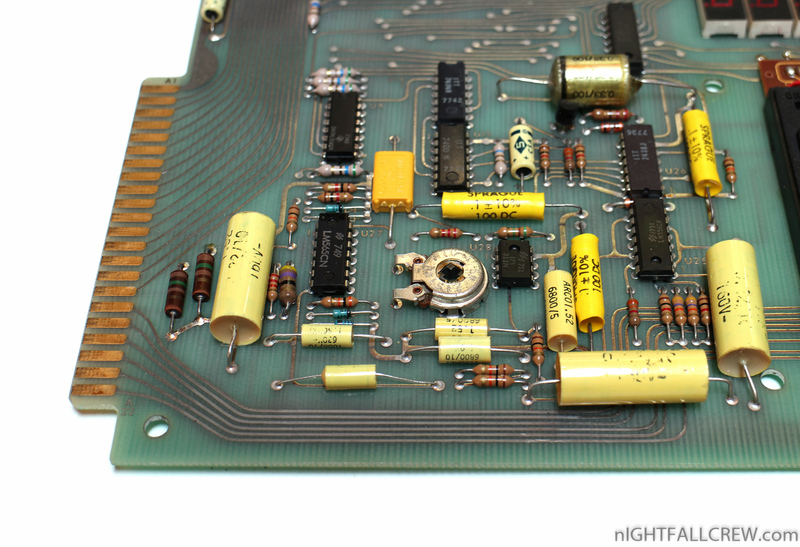 One of these connectors also doubled as the power supply connector, and included analog lines that could be attached to a cassette tape recorder. Earlier microcomputer systems such as the MITS Altair used a series of switches on the front of the machine to enter data. In order to do anything useful, the user had to enter a small program known as the “bootstrap loader” into the machine using these switches, a process known as booting. Once loaded, the loader would be used to load a larger program off a storage device like a paper tape reader. It would often take upwards of five minutes to load the tiny program into memory, and a single error while flipping the switches meant that the bootstrap loader would crash the machine. This could render some of the bootstrap code garbled, in which case the programmer had to reenter the whole thing and start all over again. 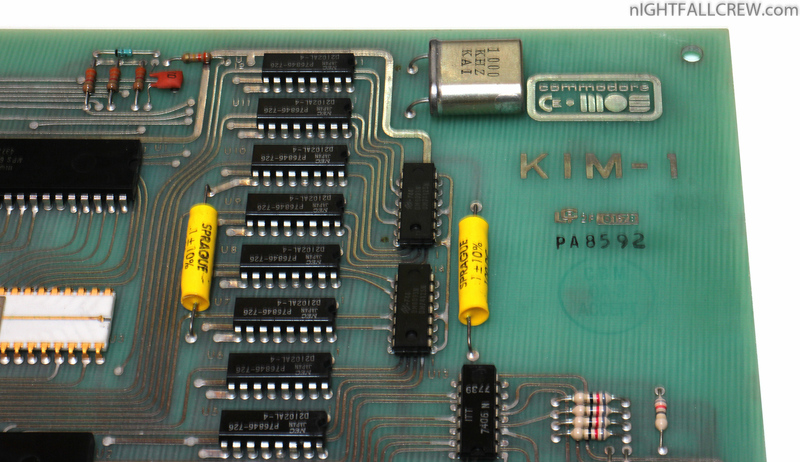 The KIM-1 included a somewhat more complex built-in Terminal Interface Monitor software called TIM that was “contained in 2048 bytes of ROM in two 6530 ROM/RAM/IO arrays”. This monitor software included the ability to run a cassette tape for storage, drive the LED display, and run the keypad. As soon as the power was turned on, the monitor would run and the user could immediately start interacting with the machine via the keypad. The KIM-1 was one of the first single-board computers, needing only an external power supply to enable its use as a stand-alone experimental computer. This fact, plus the relatively low cost of getting started, made it quite popular with hobbyists through the late 1970s.